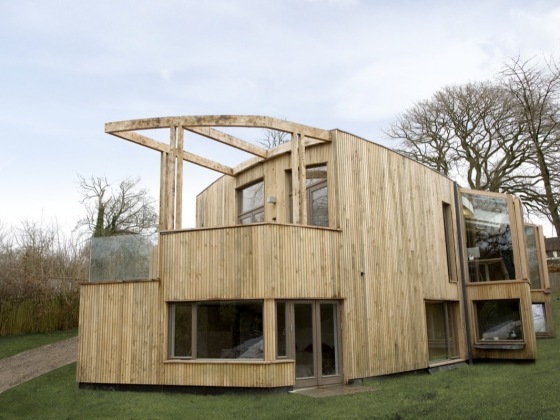 Edge Structures was the structural engineer behind this bespoke five bedroom, luxury eco-home, in the Chilterns. 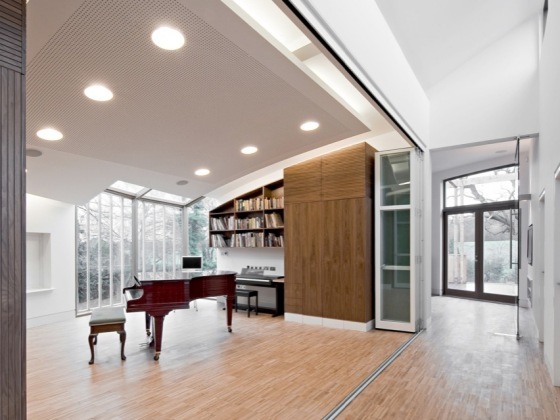 The upper floor accommodates a sequence of open plan living spaces with views to the outside at every glance. 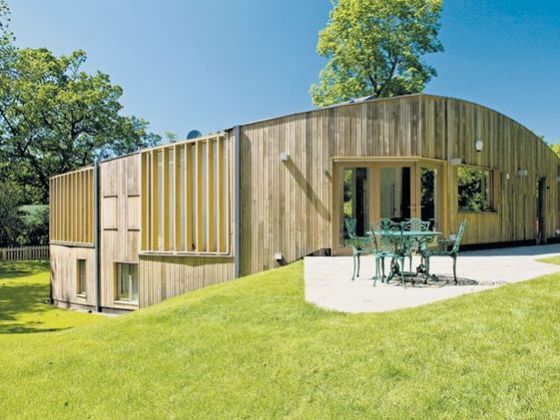 The building is constructed from a highly insulated, timber frame over a concrete and masonry semi basement. This provides a high level of internal comfort for response heating in the summer and good thermal mass to keep it cool during the summer. A green roof provides a new habitat and reduces rainwater runoff rates. A wood burning stove/boiler, solar thermal and electrical panels all help to provide 20% renewable energy.